What If My Web Host Blocks My SMTP Ports? That's a problem! Some web hosts block the SMTP ports of their servers. 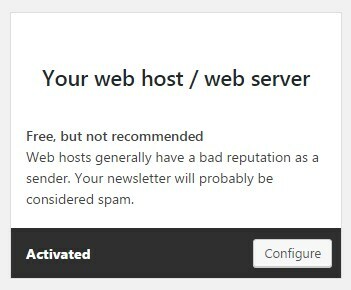 As a result, you won't be able to send your newsletters through an SMTP connection. 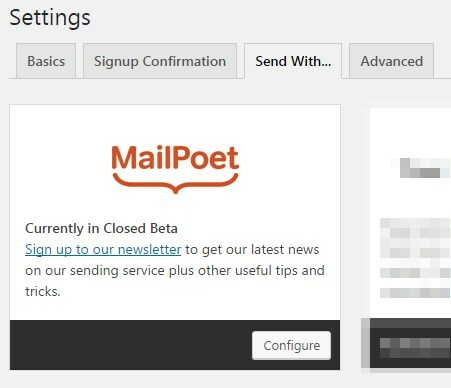 Sign up for the MailPoet Sending Service, which will send your newsletters over an API connection (never blocked by web hosts).